Jamie Foxx just joked that he pulled a Steve Harvey and read the wrong winner for Best Original Score. 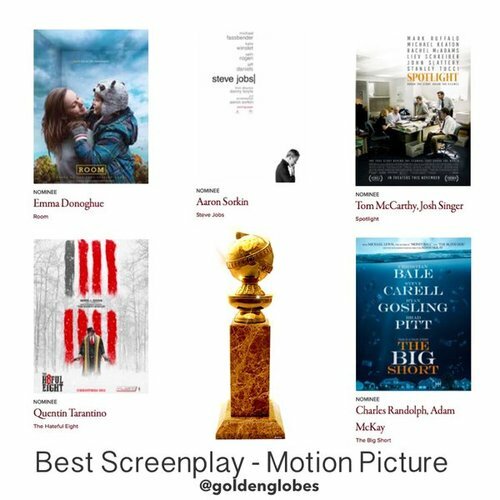 He said "Straight Outta Compton," but it was "Hateful Eight." "This young lady is absolutely the love of my life, this young lady's name is Miss Corrine Fox" Jamie on his daughter being Miss Golden Globe. Oscar Isaac said that at this point it's OK to give spoilers about "Star Wars" now. If anybody can give permission, it's him, right? "I have no plans!" 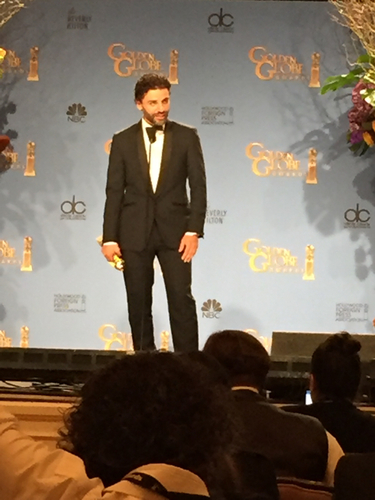 Oscar Isaac said of how he'll celebrate his win. Christian Slater is coming backstage! Anybody have any burning questions for him? I do! What it's like for him to win after being a 90's heartthrob! What does this mean at this stage in his career?? He says that every experience has been a learning one, Michael Rothman, and he's made friends all along the way! "I'm very grateful and very happy," he gushed. 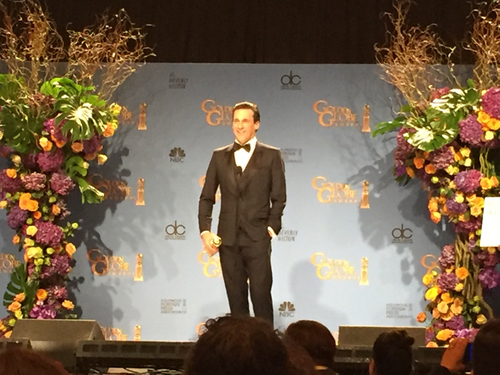 I know Kate Hudson and Kurt Russell are announcing an award but Jon Hamm is back here! Heard this movie is a real tear-jerker, right Lesley!? 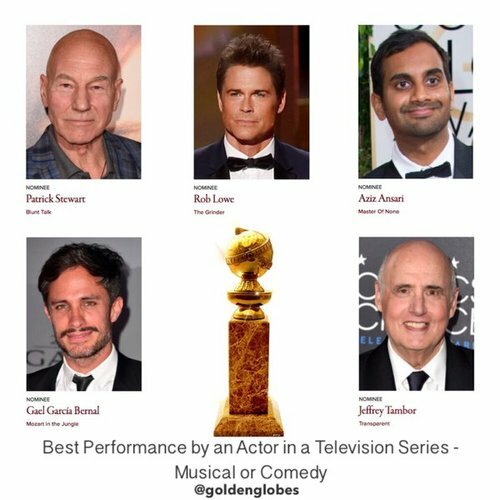 @MichaelRothman, I'm so distracted by Jon Hamm being backstage! 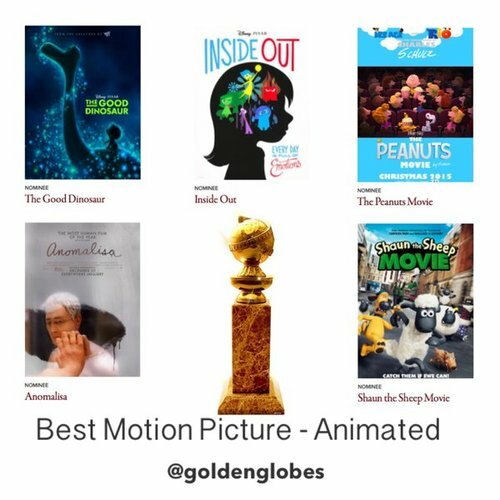 And the winner is ... Stallone!!! "Please let him run up the stairs really fast! That would be amazing!" 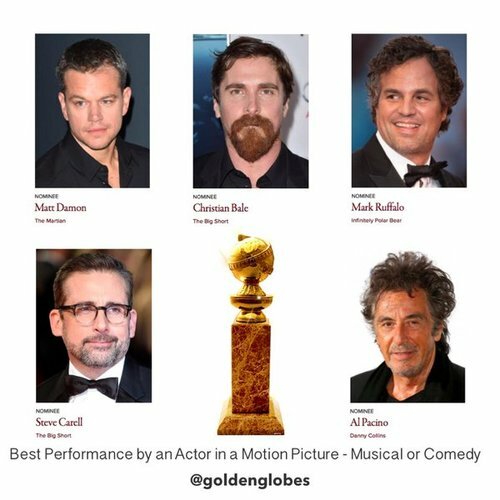 said Jon Hamm of Sylvester Stallone's win. "Lats time I was here was 1977, long time ago," Stallone. "Want to thank my wife and my children." "It's an incredible honor to be included with people on my list," he gushed. "I'm incredibly pleased." 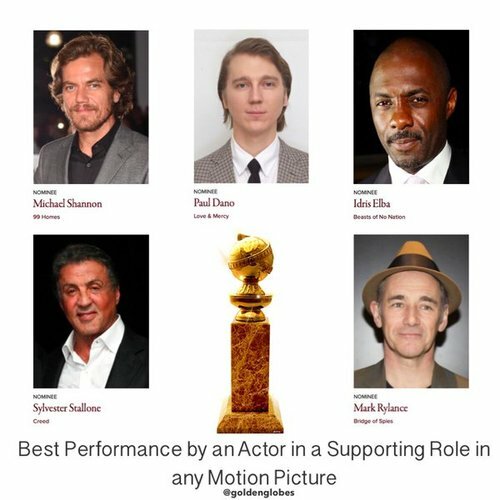 "Take the shot on a mumbling actor and gave me the shot of a lifetime," Stallone. 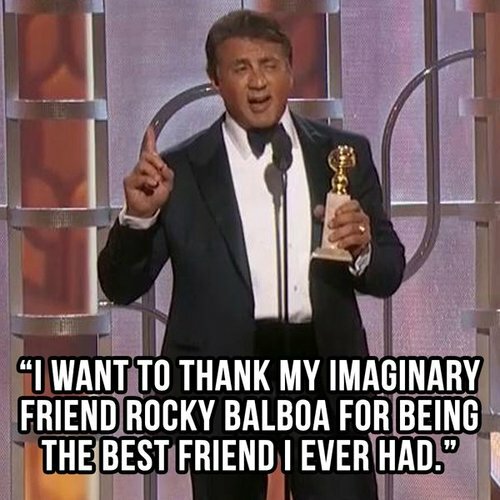 "I want to thank my imaginary friend Rocky Balboa for being the best friend I ever had." 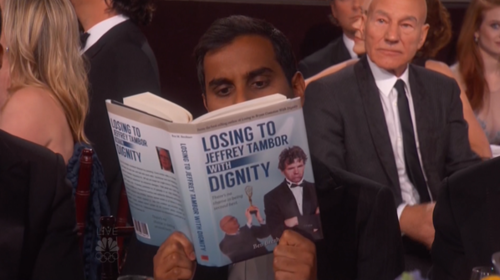 Aziz was just seen reading a book titled "Loosing to Jeffrey Tambor with Dignity." 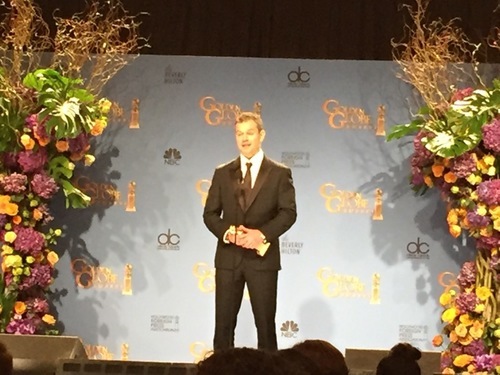 "They're more interested in what Lucy's wearing," Matt Damon said of how his kids reacted to his Globes prep. "She's wearing [a lilac dress, and] with the 'Frozen' stuff... It's a little bit like something Elsa would wear!"